This is a Monopoly variant that borrows heavily from the game Cosmic Encounter. Knowledge of CE or a CE set is not necessary to play. Each player is given two powers assigned at random from the list below. (We've written each on an index card and have each player draw two from the pile.) The powers give players unique abilities that allow them to subvert the normal rules in some way. Some powers require a marker to denote when they can be used (for example, once per trip around the board.) Use whatever you have handy. A player may not use his powers while in Jail. When a player lands on Free Parking, he or she receives a Zap (use whatever markers are convenient; just make sure they're different from power-specific markers.) The Zap may be played on any player attempting to use a power, thereby cancelling the power's effect. The Zapped player may not attempt to reuse any of his or her powers until the next player's turn. As an optional rule, you can allow players to trade powers as part of a deal. ABOUT FACE: You have the power of direction. Once per trip around the board, after you roll, you may choose to move backward instead of forward. You cannot move back across GO. AMOEBA: You have the power to ooze. 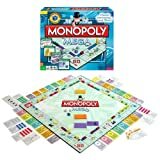 Just before the start of your turn, you may shift all the buildings you own, relocating them to any properties of any complete (buildable) monopolies you own. Unless you are a CENTRALIZER, your oozing must still follow the "build evenly" rule. BULLY: You have the power to coerce. 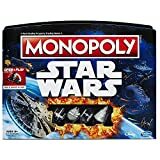 Whenever you land on the same monopoly as another player, you may force that player to either give you one of his or her unbuilt properties or pay you $300 (his or her choice.) If more than one other player is on that monopoly, you may bully all of them. BUTLER: You have the power to serve. You perform all menial game-related tasks (Banker, revealing cards, placing or removing buildings, handing out Zap cards, etc.) As a reward, you may take up to $20 of any amount paid between the bank and any other player. CENTRALIZER: You have the power to unbalance. You need not build monopolies evenly. CHANGELING: You have the power to shapeshift. After paying rent, swap this power for one of the owning player's powers of your choice. DEALER: You have the power over cards. Anytime anyone else draws from Chance or Community Chest, you may cancel their first flip and make them draw again. When you draw a card, draw the top two and choose the one you want to occur. Both are discarded. DEPOSITOR: You have the power of gain. Any time any other player pays money to the Bank other than for the purchase of properties or buildings, you get half (rounded down). If you must pay such money, you need only pay half (rounded down). DEUCE: You have the power of two. After completing your turn, you may take another one. You may make trades or purchase buildings between your turns, but no one else can. GAMBLER: You have the power to bluff. When you roll the dice, you may do so secretly. Announce your total and if you rolled doubles to the group, lying if you want. If no one challenges you, move your token as if you actually rolled as you claimed. If one or more people challenge you, reveal the dice. If you were telling the truth, each challenger must pay you $500. If you lied, pay them $500 as a group; they then divide it equally amongst themselves. (You must be Zapped before you roll.) If you are challenged, move based on the correct roll of the dice. GRIEF: You have the power of pity. Whenever you involuntarily pay money to the Bank or another player, select one other player (except for the one who received the money from you) to pay the same amount of money to the Bank. Not recommended in a 2 or 3 player game. HOMEMAKER: You have the power to horde buildings. At the start of the game, collect half the houses and hotels. VVhenever anyone else buys a house or hotel, they may buy it from the Bank as normal or from you at a 100% increase. You may buy houses and hotels from either your horde or the Bank as normal. Any sold houses or hotels go to your horde. Horde buildings can be auctioned as normal; the 100% increase applies to the final auction price (if you don't win it). INSECT: You have the power to copy. As soon as you pass Go, choose any power held by another player. Until you pass Go again, you may also use that power. You may not copy the same power twice in a row. LAND GRABBER: You have the power to usurp. If you land on an unbuilt owned property, you may buy it off of the owning player for twice the on-board purchase price. LASER: You have the power to blind. When any other player purchases a property, you may make him or her do so at random. First he or she pays the on-board purchase price of the property he landed on. Next you take all available properties, and mix them up. He or she draws one at random. In an auction, if you don't win it, mix up all available properties, and give one to the winning player at random. LIQUIFIER: You have the power of liquid assets. When unmortgaging properties, you pay no interest. When selling buildings, you receive the full purchase price (not half). MINT: You have the power of money. You can spend $1 bills as if they were $10 bills. You are never forced to make change. When drawing money from the Bank, you must take the smallest number of bills possible. MOBILE HOME: You have the power to relocate. Your token is a house. Whenever another player lands the space you currently occupy, and it is a buildable property, he/she pays you as if you own the property with one additional house built on it. (If there is a hotel on the property, the rent is the hotel rent plus the "one house" rent.) The actual owner (if it's not you) collects no rent. Not recommended in a 2 or 3 player game. NEGATOR: You have the power to cancel. Once per trip around the board, you may negate any one decision by any other player as long as it does not involve collecting rent or use of a power. The negated player may not attempt to redo the action until that player's next turn. PASSENGER: You have the power to ride. Whenever your roll crosses a Railroad, you may continue counting from the next Railroad on the board. If you land on one Railroad, you may move onto any other. You may collect Go money if your ride allows you to pass Go. PLANT: You have the power to graft. Instead of collecting rent from another player, you may choose to either collect half rent and take one of that player's powers (your choice), or charge no rent and take both powers. While you have them, you may use the powers, and he or she cannot. The grafted player immediately regains his or her stolen powers upon passing or landing on either Free Parking or Go. PROXY: You have a silent partner. You start the game with an extra $500, and earn $300 for passing Go. If you win an auction, up to $300 of the purchase price is "paid for" by the Bank; you must pay the rest out of pocket. QUEUE: You have the power to order. You decide the order of people's turns. You must give each player a turn in one "round" of play. You may also enforce a 1 minute time limit for building purchase and trade discussion between turns. REALTOR: You have the power to discount. When another player buys a property, he/she may either buy it from the Bank, or buy it at half price from you. You buy properties at a 50% discount. If anyone achieves this condition, that player wins immediately. Whenever someone pays you rent, they may ask you a yes-no question about your condition that you must answer truthfully aloud. A player who goes bankrupt is still out of the game. SEEKER: You have the power to question. At some point during your turn (before the next player rolls the dice), you may ask any other player a yes-no question concerning the game. This question may involve any action taken before your next turn. The asked player must answer truthfully, and must abide by his/her decision, if possible. SKIPPER: You have the power to omit. Whenever your roll would cross GO, you instead stop on GO and your turn ends. Before your next turn, you select which of the four sides of the board that you will skip this time around. If you choose side 2, for example, then when your token crosses Just Visiting you continue counting from inunediately after Free Parking. No card or power can send you to a space that you are skipping. SILENCER: You have the power to quiet. Once per trip around the board, you may silence any one player as he or she attempts to communicate by calling "silence". That player must not speak, gesture, or communicate in any way until their next turn. A silenced player may not purchase properties or buildings, demand rent (although another player may demand for him), or participate in trade negotiations. Mandatory powers must still be used; optional powers that require talking or a response from another player cannot be used. SLUG: You have the power to glue. After you leave a space, you leave a "sticky spot". Any other player who would normally pass over that space must instead stop there, gaining rewards or paying penalties as appropriate. You may leave a sticky spot on the "Go to Jail" space. If you roll doubles, all spaces you land on in your turn are sticky. All spots disappear at the start of your next turn. SNAIL: You have the power to slow. You may designate how many houses/hotels any other player can purchase at a time (at least one). A player may make no other building purchases until his or her next turn. SNATCHER: You have the power to abduct. If another player decides not to purchase the unowned property just landed on, you may buy it immediately from the Bank at a 10% discount (rounded up). SPEEDSTER: You have the power to run. The higher of your two dice is doubled. If doubles are rolled, double both. TAXMAN: You have the power of tariffs. You gain any money paid to Income Tax, Luxury Tax, or a tax-related card. You also need not ever pay such taxes. TERRORIST: You have the power to bomb. At the start of the game, plant one bomb on any space of the board. If any player (including you) lands on that space, their turn is cancelled and they return to their original starting space. The landed-on property cannot be purchased, and no rent or Go money can be collected. If the property is unbuilt, it is immediately returned to the bank; if it is built, all buildings on it are destroyed. The owning player receives no compensation in either case. Once the bomb goes off or when you pass Go, you may move the bomb to a different space (thus resetting the bomb). A Zap prevents you from planting a bomb during your current trip around the board; it does not cancel an explosion. TRADER: You have the power to swap. If you land on your own unbuilt property, you may exchange it with any other unbuilt property owned by another player. TRAM: You have the power to shuttle. Once per trip around the board, after you roll, you may choose to make someone else move their piece by the number on the dice. They pay money or gain rewards as appropriate. If you roll doubles, you still get to roll again; otherwise the "shuttling" is in lieu of your turn. TRANSPORTER: You have the power to beam over. If you land on a square with someone else's token, you can move them to a square occupied by any other token. If anyone lands on your token, you may move them immediately to another occupied space. If one player lands on the space another occupies, you may move one or both of them to other occupied spaces. They are affected as if they just landed on the new space. However, they collect GO money if and only if they would collect it on their original roll. Not recommended in a 2 or 3 player game. TRASHER: You have the power to raze. Before paying rent, you may destroy one building on the property whose space you occupy. The owning player gets no compensation for the removed building. TRIPLICATE: You have the power to select. Once per trip around the board, you may roll three dice on your turn. Choose any two of them to make your roll. TWEAK: You have the power to alter. Once each time around the board, you may change any single number by 1. USURER: You have the power over mortgaged properties. If anyone lands on a mortgaged property not owned by you, that player must pay you as if you owned the property (as if it was unmortgaged). If someone mortgages a property, you may immediately buy it from him/her at half its on-board purchase price. UTILITARIAN: You have the power of utilities. You are given both utilities at the start of the game. You may not lose them for any reason (even if Zapped). 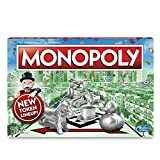 In addition, if both properties are unmortgaged, whenever a player passes GO, he or she must pay you utility fees of $20 per house and $80 per hotel he or she owns. VISA: You have the power of debt. You never pay immediately. Instead, keep a tally of all payments and pay to the appropriate parties (in any order you choose) upon passing GO. You may not mortgage properties or sell buildings until they are paid for. If you cannot make the payments, you go bankrupt. WAITER: You have the power to delay. Whenever you draw a Chance or Community Chest card, you may, if you wish, keep it unrevealed, playing it on yourself or another player at a later time. You can retain only one of each type of a card at a time- if you're holding a card when you have to draw one from the same deck, you must play the held card immediately. WARDEN: You have the power to arrest. You never go to Jail. If you are forced to go to Jail for any reason, you send one other player to Jail instead. All bail money is paid to you instead of the Bank. You may also claim 50% of any money collected by someone in Jail. WARRIOR: You have the power of experience. Each time you pay rent, you earn one point. The next time you pay rent, you may deduct twenty times the number of points you have from the amount you owe. If this deduction exceeds the amount due, you pay nothing, but may not get another point. WITCH: You have the power to curse. After you pay rent to someone, you may place a curse on the property. The next time rent is collected on that property, half the rent goes to the owner, and the rest goes to you. If you land on a cursed property, you only pay half rent, and you may curse the property again.